Graduation is not just a celebration but a feeling from moving from phase of life to another. It is not only an accomplishment of the years that have gone by but for years to come. Flowers are always the most cheerful way to give respect to recent graduates as well as to wish them luck to face new challenges in life! A perfect graduation bouquet is what you need. Let us guide you through what is around that you may like. Playing with colors is what you may want to do while choosing your graduation bouquet flowers. A bunch of bright and colorful flowers will reflect your cheerfulness and warmth on such an occasion. Orchids, tulips, carnations and lilies are an excellent choice and come in a variety of color. However, if you are in doubt and cannot make a decision choose roses. Roses are an ultimate choice for this occasion. For school graduation you may want to select a bunch of lavender and yellow roses. It reflects you joy, friendship and a hopefulness for a new beginning. Adding white to any bouquet reflects respect and admiration for your dreams and aspirations. It also is a sign of best wishes for the new phase of life. If your special one is graduating you may want to get red and white bunch or a pink one. It shows love and elegance as well as for the new beginning. The fragrance of the roses adds a more charming effect. ORB Collection: The ORB Collection is an array of round boxes which may have a roses of your choice and a personalized message. Rouge Collection: The Rouge Collection comprises of square box arrangement. It also has roses of your choice with a personalized message to accompany. What makes both these collections more special is that these roses will last for a year! So it can be placed on their study table in their room or work desk, to remind them of this ceremony the following year. Other type of arrangements may also be made available on your personal choice. 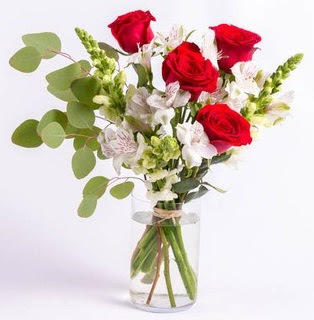 You may want to pair roses with other flowers like orchids, daisies, lilies and carnations. What could be more perfect on graduation than a fresh sunshine bouquet and a chocolate cake! Shopalarose always has a perfect solution for you. No matter what the choice of your graduate, Shopalarose has it covered for you with roses and arrangements that last a year!